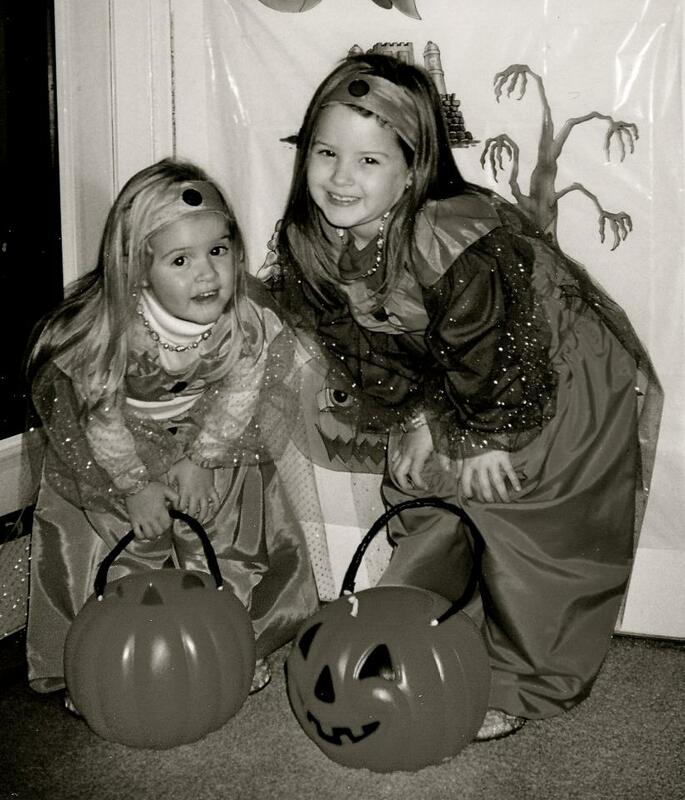 In honor of it being Thursday and just a day away from Halloween, I'm throwing it back to some Halloweens of the past! 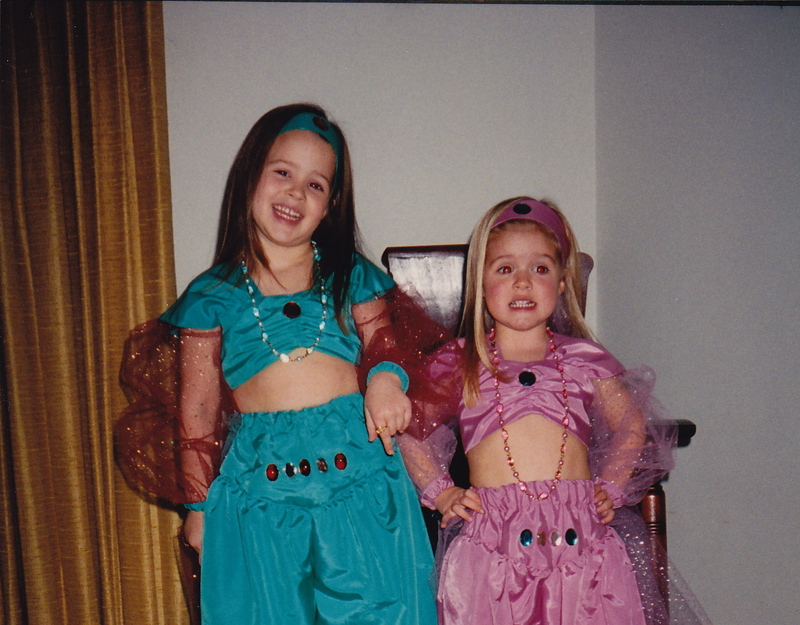 And I'm reminiscing on my pretty stellar homemade costumes of the 90's! 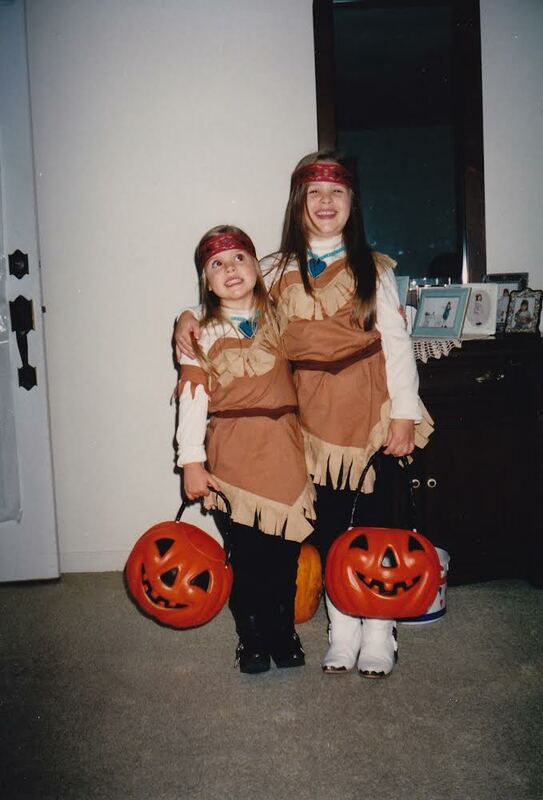 Growing up, my Grandmom made all of my little sister's and my Halloween costumes. I can remember heading to Joann's Fabrics during September to pick out our costumes and the coordinating fabrics. Being little there were times I really despised sitting in the fabric store for what felt like hours as Grandmom and mom worked together on the pattern. But, our costumes were always original and always what we wanted. 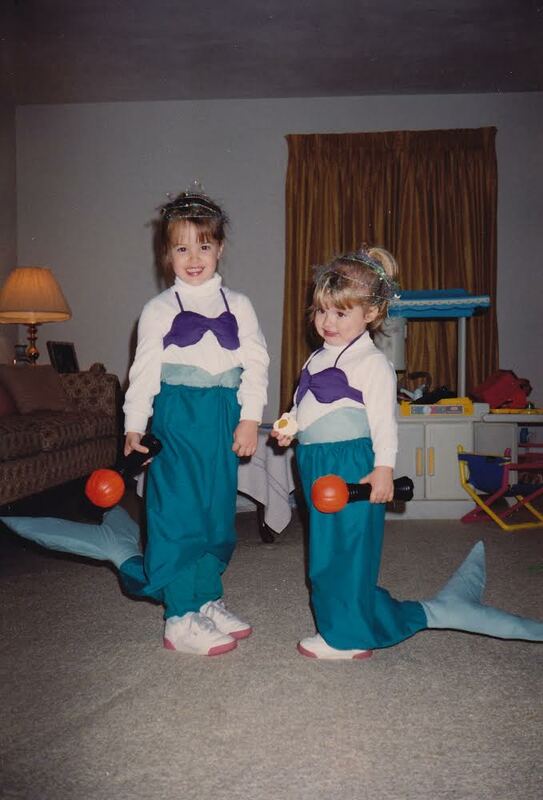 All of the childhood costumes below are her masterpieces. And I hope by the time I have a little trick-or-treater Grandmom can whip up one of her fabulous creations. 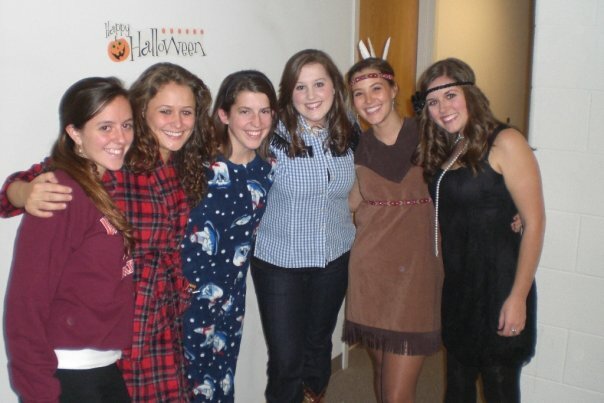 This was me (second from the right) during the Halloween of my sophomore year at Virginia Tech, along with my sister (at right) and all of my suitemates. 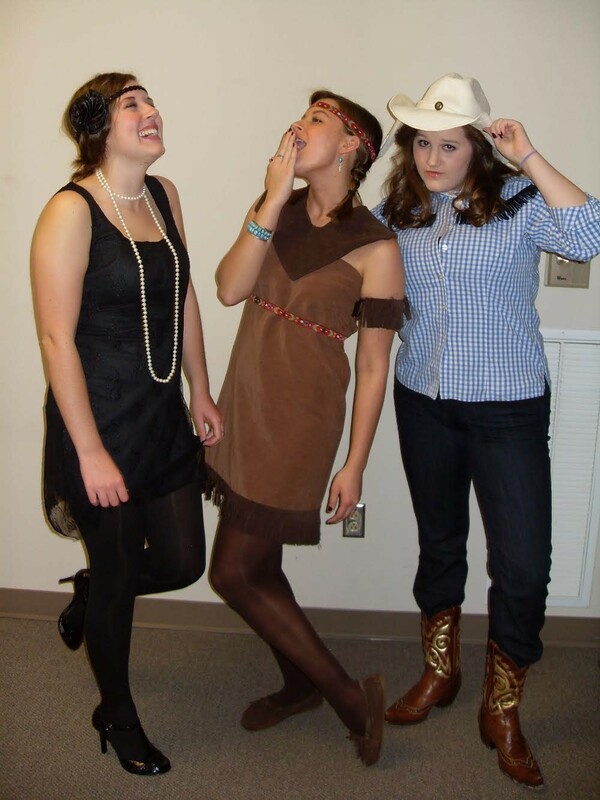 We had bed, bath, and beyond as a costume trio (alien not pictured), a flapper, a cowboy, and an Indian. 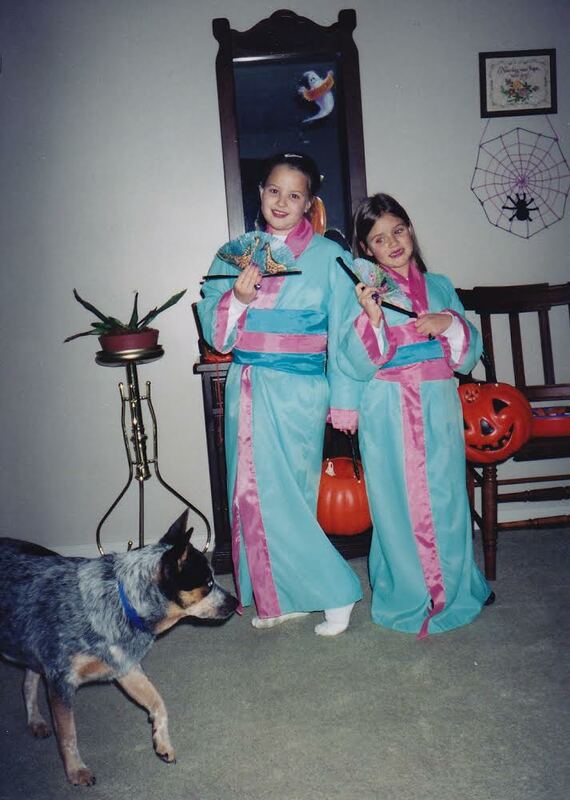 The sewing genius from Grandmom slightly rubbed off on me and I made the Indian dress that year. 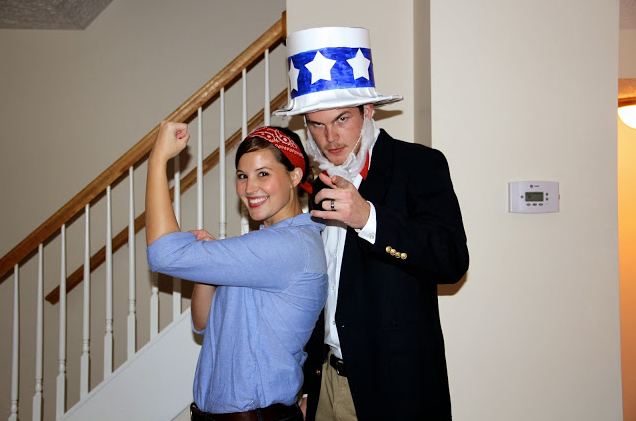 Last year, husband and I went as Rosie the Riveter and Uncle Sam. This was just a couple of weeks after getting home from our honeymoon and settling into our new home. These costumes were whipped up at the last minute! And this was also the first time I had ever done a couple's costume, which I LOVED! I'm super excited for our couple's costume we have put together for tomorrow for the annual Hill Halloween Fest! And I can't wait to share it with you next week! Or, follow me on Instagram to see our costumes sooner!! And tell me what some of your best costumes have been! I'm always looking for new ideas!